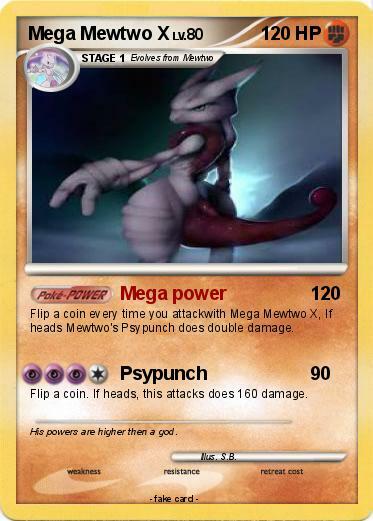 Flip a coin every time you attackwith Mega Mewtwo X, If heads Mewtwo's Psypunch does double damage. Flip a coin. If heads, this attacks does 160 damage. Comments : His powers are higher then a god.